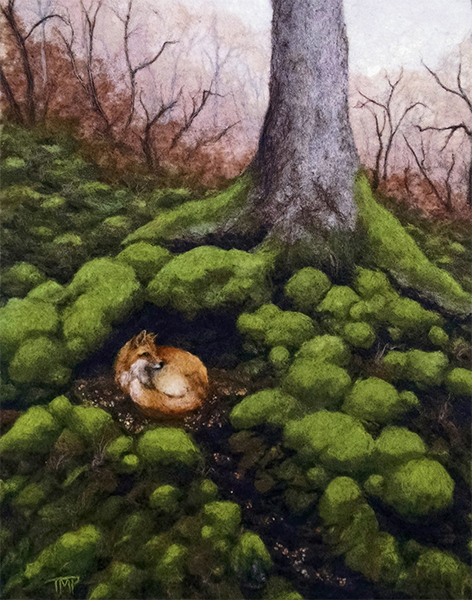 Moss Haven, felt, 28" x 23"
In every issue, we feature the work of one talented artist living in Western North Carolina on our Last Page. To submit work for consideration, click here to email high resolution digital images and a brief bio with contact information, or mail a CD to Last Page, WNC Magazine, P.O. Box 1330, Asheville, NC 28802.